​Super happy with how this turned out in the end. 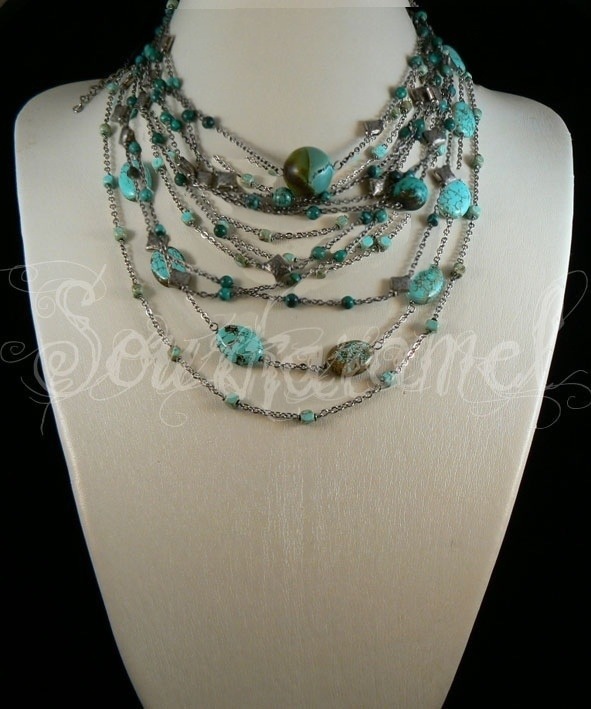 Perfect for adding that extra punch of colour to one of many bohemian items in my closet. 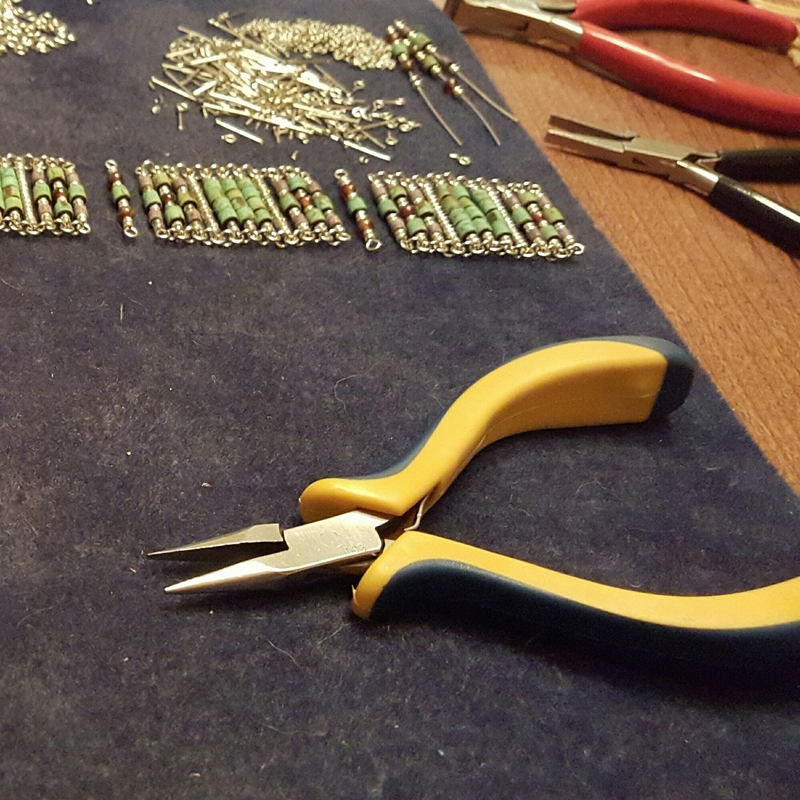 Assembly is always my least and most preferred process in jewelry making. All the pieced have been prepared, the design is mapped out and now the only thing standing in the way is the speed of my fingers to put it all together and bring it to life. ​Here we go! 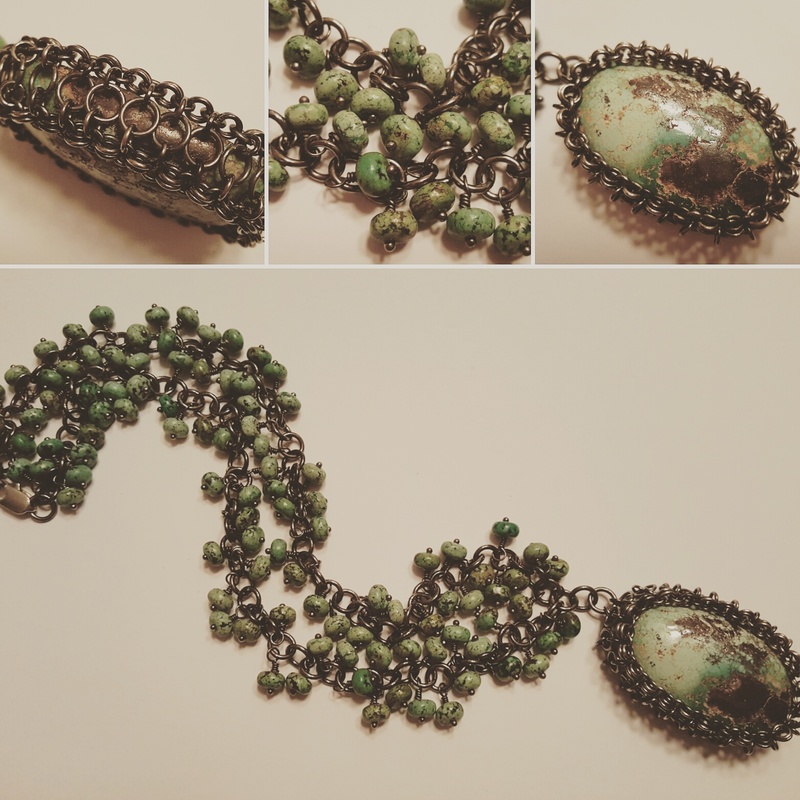 Work in progress…feeling a 70’s vibe coming on…it was only fitting to use vintage glass and dyed bone to go with hand drilled turquoise. ​Sometimes an old piece needs a makeover. 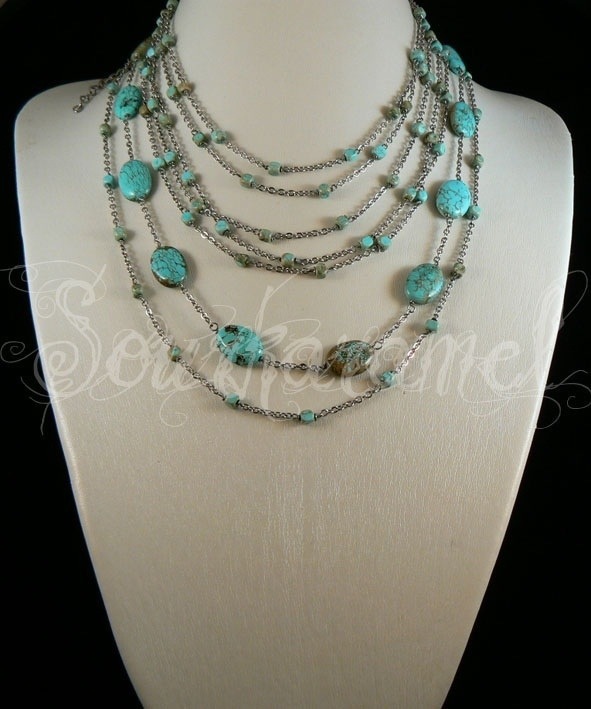 This necklace was made using only oxidized silver and amazing Iranian turquoise. The large focal turquoise is actually a cabochon. I was able to build a cage using only jump rings (an arduous but rewarding feat). Thought I’d capture it before it gets taken apart for a new look. It’s never too late to get back on track and with that being said, I’m redeveloping my online presence in 2017. 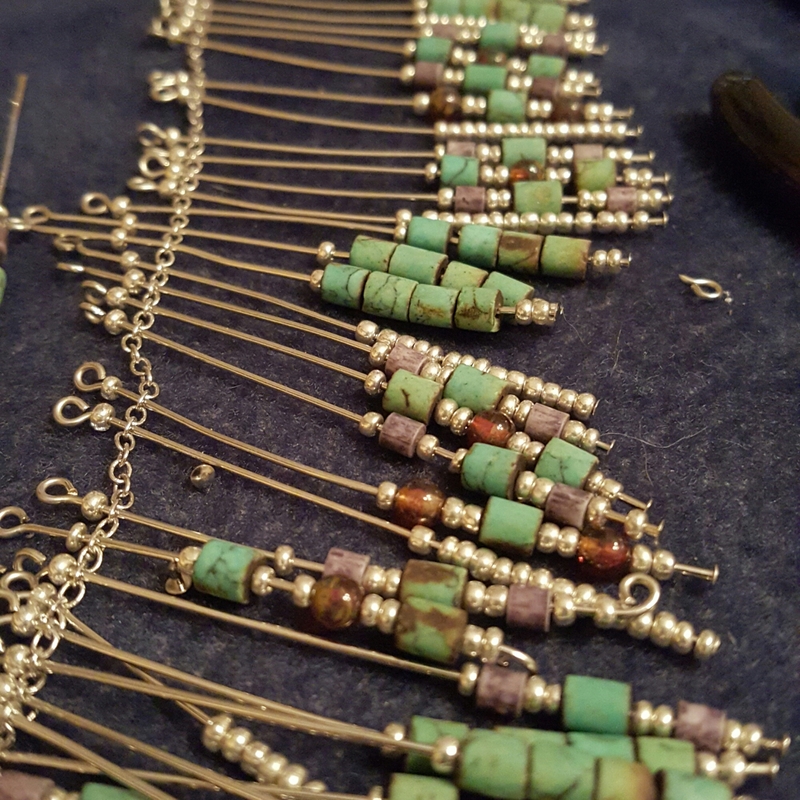 This year’s first piece is a pair of custom made earrings using brass, hand drilled turquoise beads as well as some amazing rich citrine quartz I was able to find. As a designer, there are few things that are as exciting as coming up with an idea and discovering that the final product matches the original sketch. These are the first official pieces of 2013 and I’m happy to see the year is starting off well. 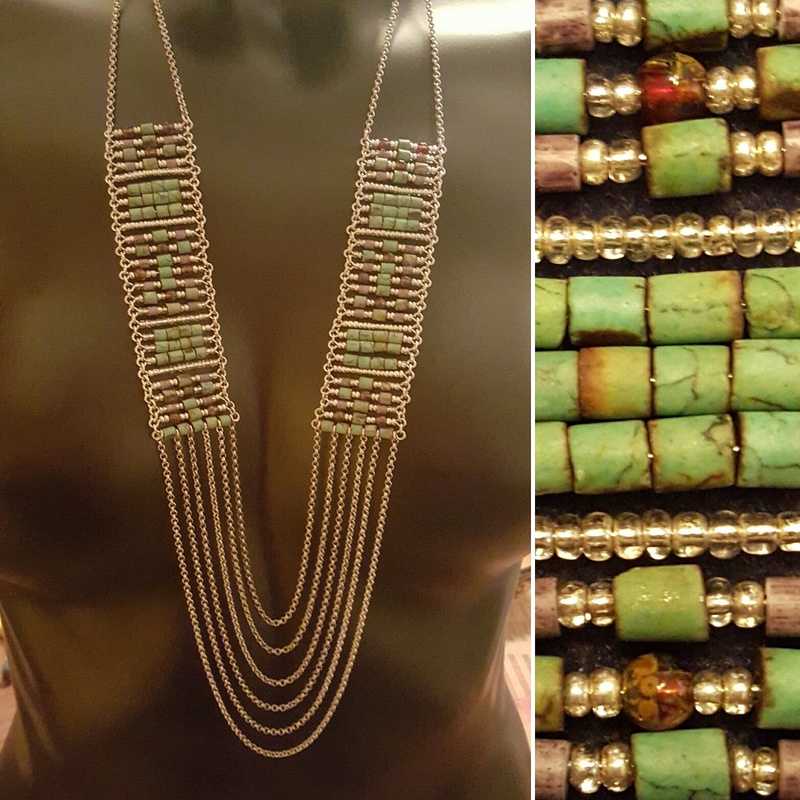 Using recycled resin spikes(never underestimate the value of sample sales for supplies), faceted turquoise teardrops, red jasper, coral, bali silver and oodles of silver chain, these two necklaces work wonderfully alone or together. 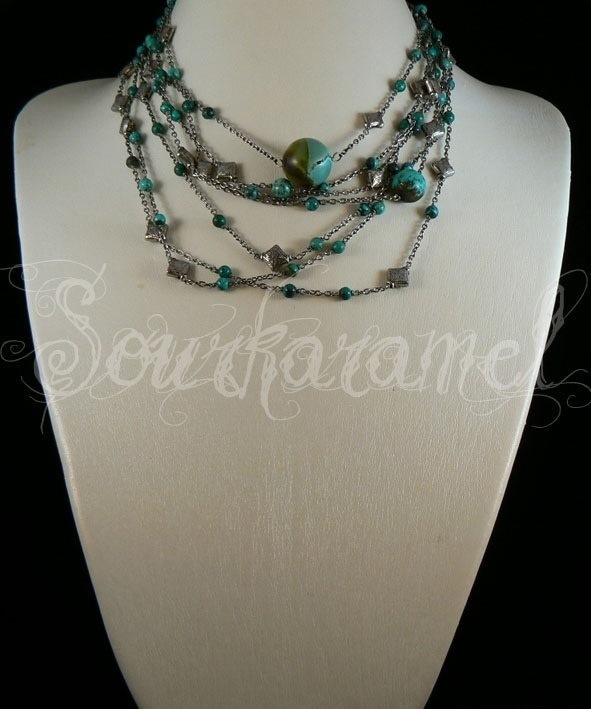 Two of my favourite delicate and lightweight necklaces, both made from turquoise(a mixture of Iranian and Tibetan), have been layered to create a cascade of silver with a pop of colour.